Here's a unique twist on sending a gift box. It's a rustic planter crafted of reclaimed wood filled with a variety of succulents. 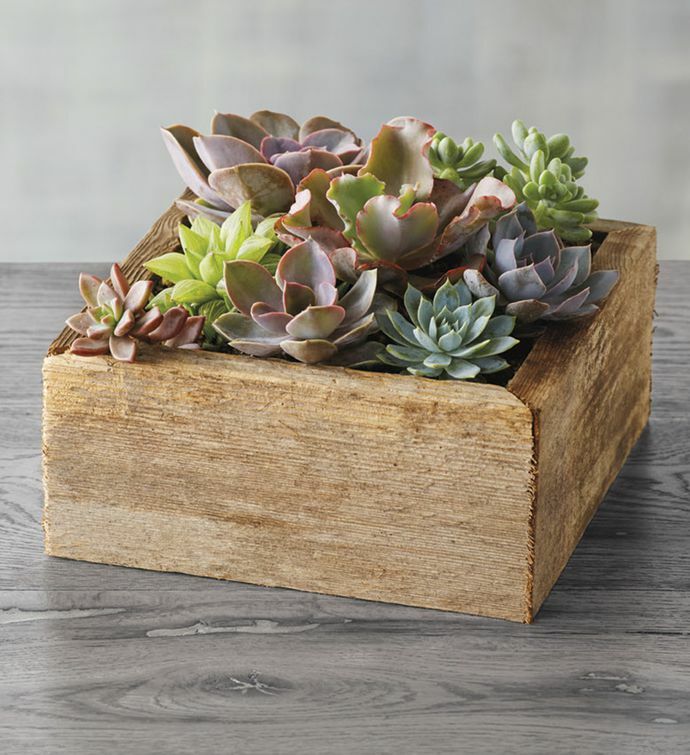 The subtle tones of the succulents are set off by the rugged, deeply textured wood. Succulents are hardy, need little water, and are perfect for growing in containers, making this an ideal gift for all seasons.